AC Milan boss Rino Gattuso. “We’ve got to get out there with determination, with fire. We gifted the game, there are no excuses and we have to take the responsibility. Email “'We gifted the game' – AC Milan boss Gattuso 'furious' after Europa League exit”. 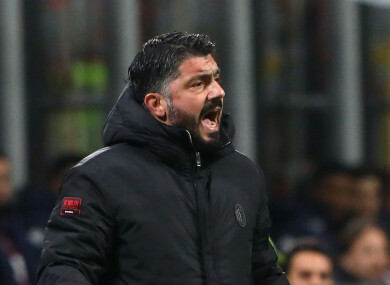 Feedback on “'We gifted the game' – AC Milan boss Gattuso 'furious' after Europa League exit”.